Lat 2° 13' 0S Long 146° 58' 60E Green Island Atoll includes Nissan Island (Green Island), Belil Island, Sirot Island, Barahun Island and Hon Islands in the center of Green Island Lagoon. To the northwest is Sau Island (Sale) and Pinipel Island. There are three passages from the surrounding Pacific Ocean into Green Island Lagoon. North Channel is located between Belil Island and Sirot Island. Middle Channel is located between Sirot Island and Barahun Island. South Channel is the widest between Barahun Island and Nissan Island (Green Island). Green Island Atoll is approximately 16km long by 8km wide, located approximately 60 nautical miles to the northwest of Buka Island. Also known as "Green Islands Atoll" or "Green Island Group". Today, part of Nissan Rural Local Level Government (Nissan Rural LLG), North Bougainville District, Autonomous Region of Bougainville (Bougainville Province), Papua New Guinea (PNG). Occupied by the Japanese at the start of the Pacific War. Green Island Lagoon was used by the Japanese as a seaplane operating area in the early months of 1942 before Rabaul was captured. Between January 1942 to February 10, 1944 attacked by Allied bombers and fighters. On January 30, 1944 raiding party of 300 soldiers, mostly from the New Zealand Army 30 Battalion landed on Nissan Island (Green Island). After reconnoitering for 24 hours, the group was withdrawn by sea having suffered five killed and ten wounded. 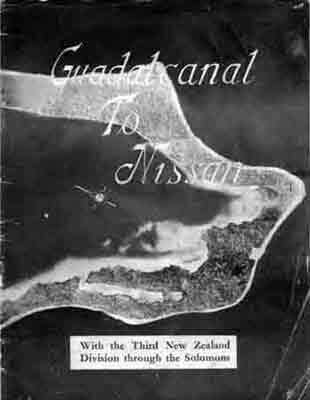 On February 15, 1944 U. S. troops plus the New Zealand Army 3rd New Zealand Division (less the 8th Brigade) made an amphibious landing on Nissan Island during "Operation Square Peg". 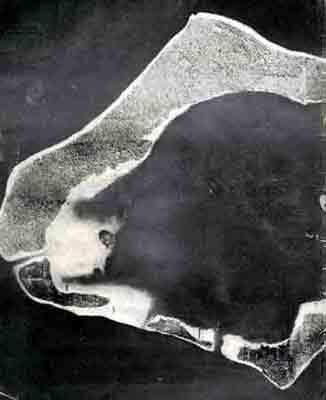 Only about 500 Japanese base troops were stationed on Nissan, the rest had withdrawn to Feni Island. The remaining Japanese fought to the death with none surrendering or being taken prisoner. By February 23, 1944 organized Japanese resistance ceased but mopping up operations continued until the end of the month. Once secured, the native population was relocated to Guadalcanal for the remainder of the war. Immediately, U. S. Navy Construction Battalion "Seabees" began construction of Nissan Airfield on Nissan Island with two runways completed by the end of March 1944 and used for the rest of the year to attack Rabaul, New Britain and New Ireland. By July 1945, the last Allied personnel departed the Nissan Island (Green) for the Philippines. Afterwards, everything left on the island was destroyed or abandoned and the native population returned to the atoll.